The announcement will occur at 3 p.m. at the White House, the president said. That was later delayed to 4 p.m. Earlier in the day, the president tweeted that the GOP was "so unified" and there would be "no 'cave' on the issue of Border and National Security." "A beautiful thing to see, especially when you hear the new rhetoric spewing from the mouths of the Democrats who talk Open Border, High Taxes and Crime. Stop Criminals & Drugs now!" Trump tweeted. 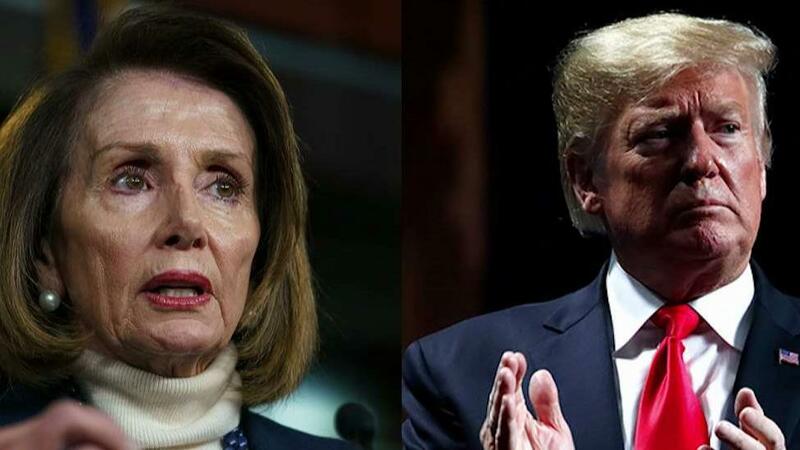 The White House has been engrossed in a back-and-forth with House Speaker Nancy Pelosi this week after Trump on Thursday denied her the use of military aircraft for a foreign trip. Trump "postponed" the trip, citing the shutdown, just minutes before the congressional delegation was set to depart. “We will reschedule this seven-day excursion when the Shutdown is over. In light of the 800,000 great American workers not receiving pay, I am sure you would agree that postponing this public relations event is totally appropriate,” Trump wrote. "I also feel that, during this period, it would be better if you were in Washington negotiating with me and joining the Strong Border Security movement to end the Shutdown." While Trump pulled the plug on using military aircraft for the journey, he gave the Democratic leader the option of flying commercially. "Obviously, if you would like to make your journey by flying commercial, that would certainly be your prerogative,” Trump wrote. The move came after Pelosi requested Trump to delay the State of the Union address amid the partial shutdown. On Friday, the situation escalated when Pelosi's office accused the Trump administration of leaking plans for the congressional delegation to fly commercial to Afghanistan, saying the related security risks forced them to postpone the trip. However, the White House adamantly denied the leak allegation, calling it a "flat out lie."